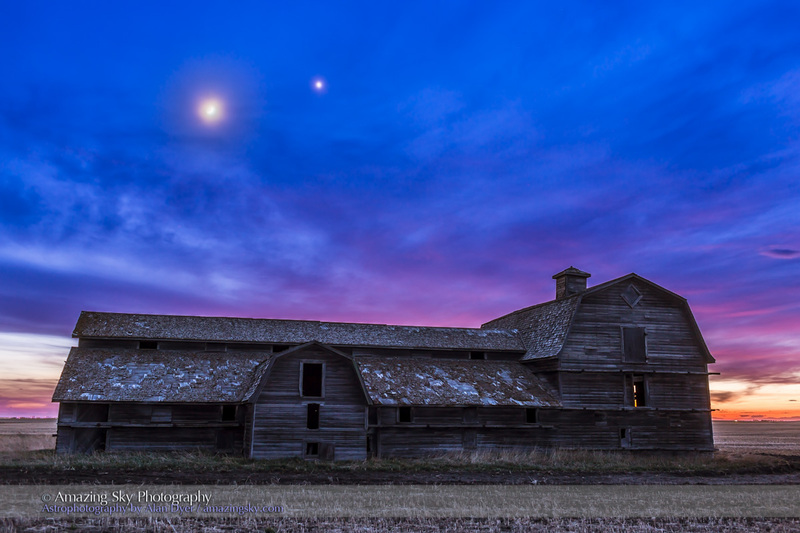 The Moon and Venus shine in conjunction over an old pioneer barn. Tonight, April 21, the waxing crescent Moon passed a wide eight degrees to the left of Venus. That’s a wide conjunction to be sure, if we can even call it a conjunction! 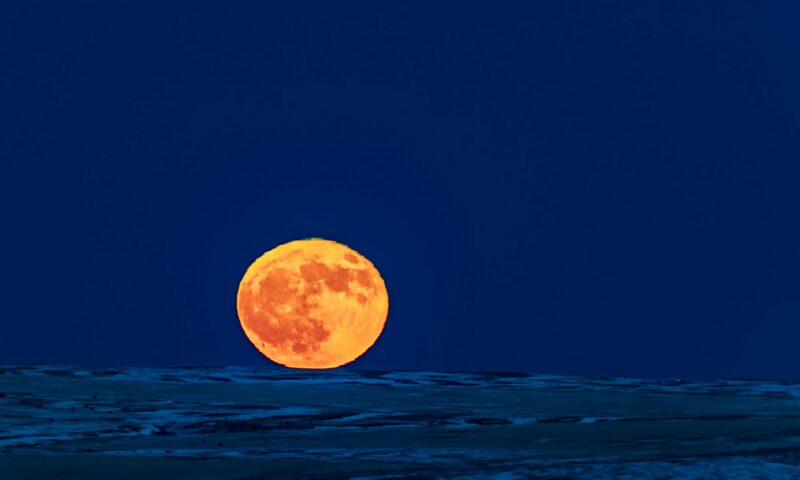 Nevertheless, when the two brightest objects in the night sky come together it’s worth looking at and photographing. I had planned to drive west, to the Kananaskis area of southern Alberta, to shoot the celestial scene over the Rockies. But clouds to the west thwarted those plans. As it is, I still fought the oncoming clouds out on the plains. I chose a favourite old barn near home. It made a rustic foreground to the twilight sky. Venus remains a brilliant “evening star” all spring and into the early summer. We’ll see a similar wide passage of the crescent Moon by Venus a month from now, on the evening of May 21.